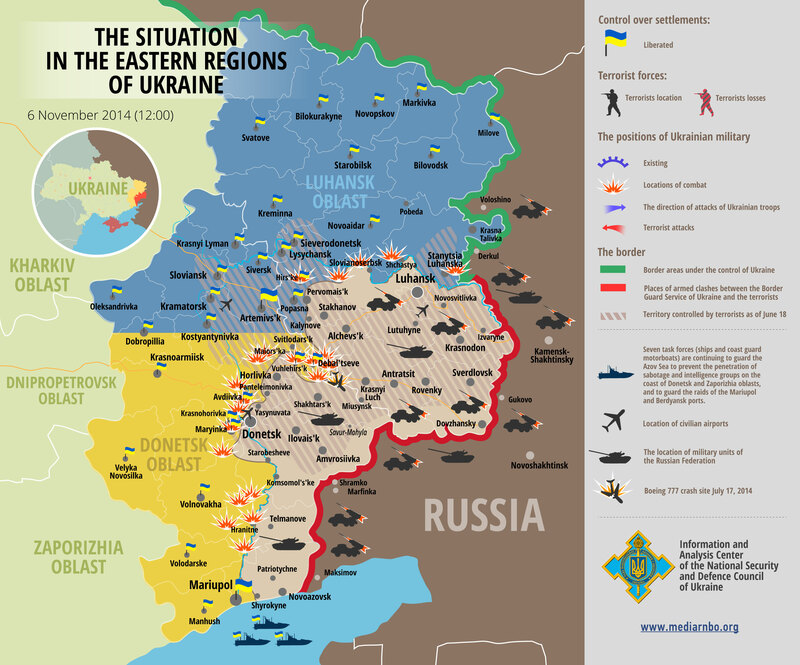 In the past 24 hours, there were more than 40 attacks by Russian-terrorist forces on the positions of ATO forces. The most intense situation remains in the directions of Debaltseve, Donetsk and Luhansk – 15, 12 and 8 shellings each, respectively. In particular, our checkpoints and strongholds in the area of Debaltseve have undergone attacks by insurgents 6 times, fire strikes were deposited 4 times over Trokhizbenka, and the positions of ATO forces near the settlements of Avdiivka, Nikishyne, Crimea were fired on 3 times. Since the announcement of a temporary ceasefire, Russian troops and illegal armed groups violated the agreement more than 2,500 times. To argue with the NSDC is impossible (besides, the “gold standard” ratio between the defending and attacking forces at the tactical level is still 1 to 3, at the strategic level – 1 to 2, and even less is allowable). So let’s not argue. Let’s just look at the NSDC map from September 5th and November 6th. And think about this. I understand the reluctance of government agencies to inflate panic. This is an absolutely correct approach. But it’s still worth a sober assessment of the situation and making appropriate conclusions – hoping for the best, preparing for the worst. 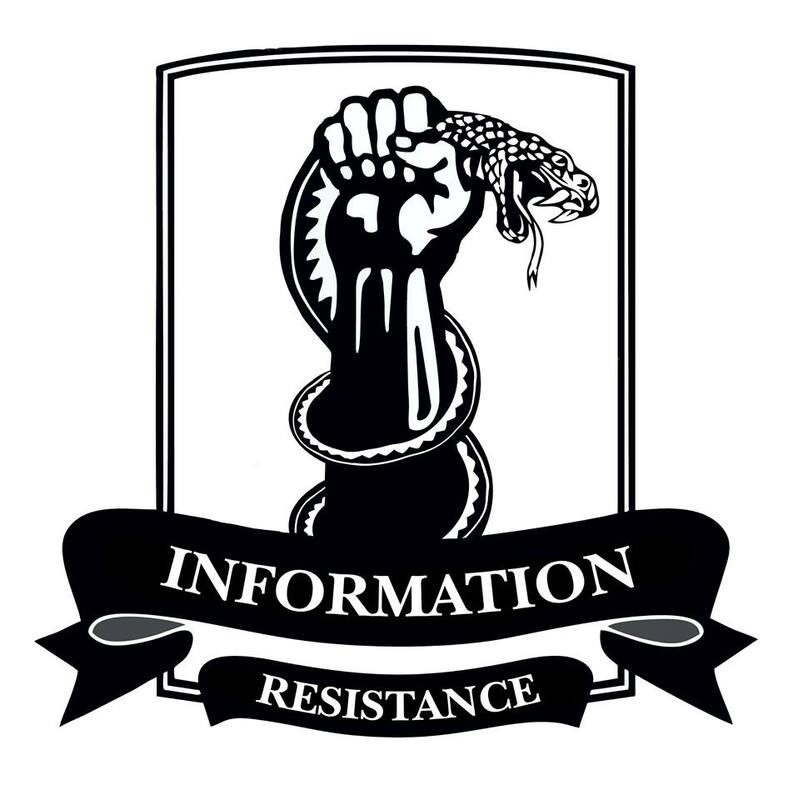 This entry was posted in Dmitry Tymchuk, English, English News, Pictures, South&Eastern Ukraine, War in Donbas and tagged #RussiaInvadedUkraine, #RussiaViolatesCeasefires, #UkraineUnderAttack, Dmitry Tymchuk, Information Resistance, Information Resistance group, Ukraine. Bookmark the permalink. NSDC seems a little bit optimistic. The troops are not static, and it is possible to have locally a concentration that allows to break a strong line of defense. Disliking the Russians for their thuggish behavior should not lead to underestimate the ability of their commanders. They have a great tradition of operational art, since Joukov, and Ukrainian staff must be at par if they want to win. A huge burden is now on the Ukrainian corp of Officers. Soldiers have proven their will to fight in the recent weeks. (cf. 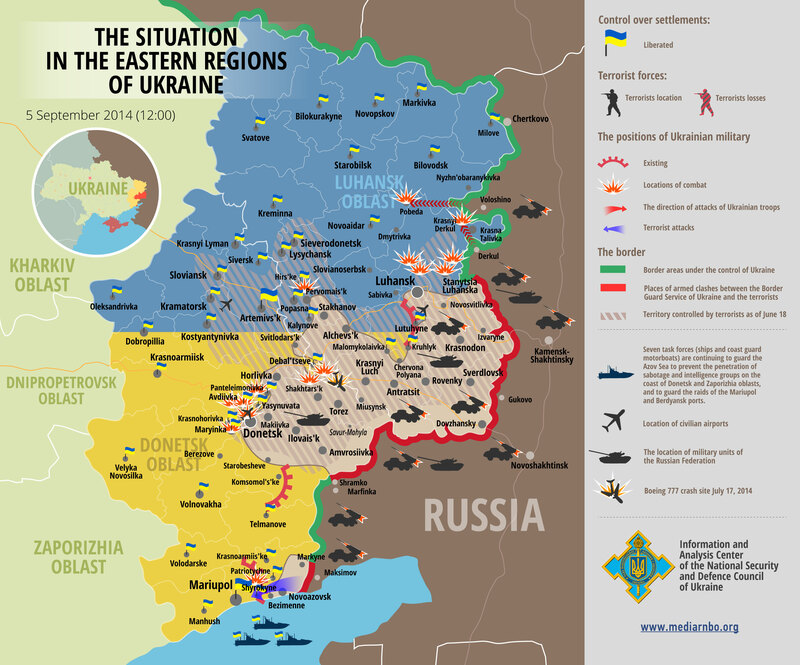 this post : https://maidantranslations.com/2014/11/09/arestovich-the-ukrainian-army-reached-a-turning-point/). Now Officers up to the highest level have to switch to new standards. Coming weeks will indeed be a turning point. In case it turns positively, Ukraine may have changed the face of the world. One more point: maps of the NSDC have constantly been more optimistic than news from the ground. This one ( https://upload.wikimedia.org/wikipedia/commons/7/70/East_Ukraine_conflict.svg ) seems a little bit too pessimistic, but allows to avoid being dragged into unnecessary overenthusiastic emotions while assessing the situation. As well put by Mr Tymchuk, let’s plan for the worse and hope for the best. In any case, let’s remember that a war is first of all a question of will. The last one standing and willing to fight will be the winner. Good luck to the emerging democratic Ukraine.